A Black Magic Mistress Costume including a Dress, Belt, and Cape – Ideal for Halloween, or any spooky fancy dress occasion! Get ready to reveal your magic powers with this fantastic Black Magic Mistress Costume. This stunning Black Magic Mistress Costume comes complete including a Dress, Belt, and Cape. This full length black dress features a lace trim along the neckline, full length black lace sleeves with a bell cuff, a lace overskirt, and the Dress also features printed tarot card details along the hemline for this mystical look. 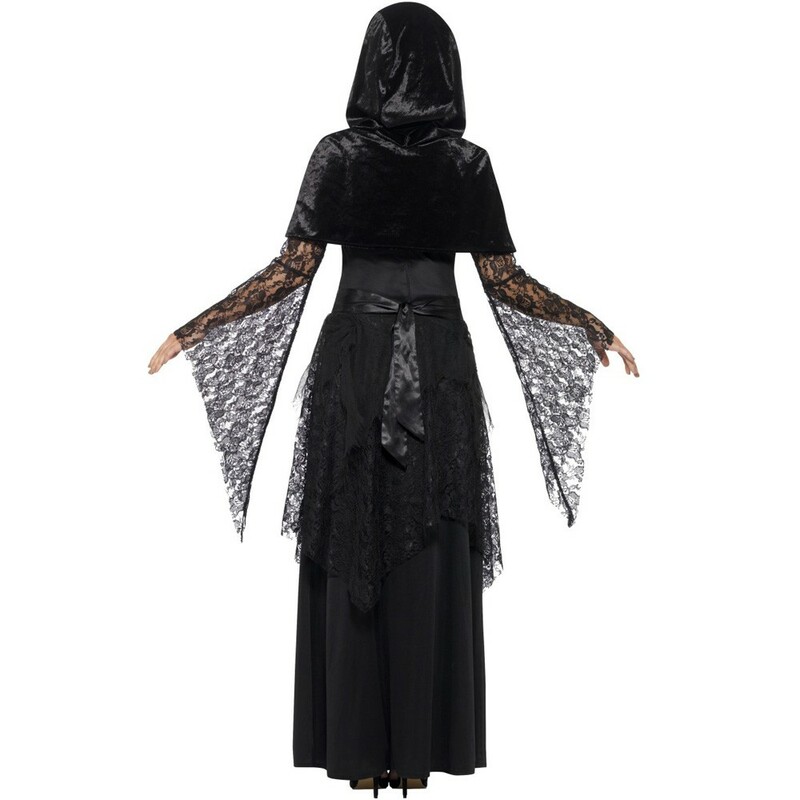 Combined with the black belt with a symbolic print design, and the black velvet Cape with attached hood and symbolic trim, this Black Magic Mistress Costume will be sure to haunt your fellow friends. Perfect for Halloween, or any spooky fancy dress occasion, this Black Magic Mistress Costume will be sure to impress no matter what the occasion. So transform yourself and reveal your inner darkness with this brilliant Black Magic Mistress Costume. Available in sizes Small, Medium, Large, and Extra Large. 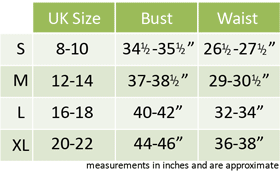 Size guidelines: to fit UK sizes 8-10, 12-14, 16-18, and 20-22. A Black Magic Mistress Costume including a Dress, Belt, and Cape.